Path Wardens needed for new ‘Adopt a Path’ scheme. 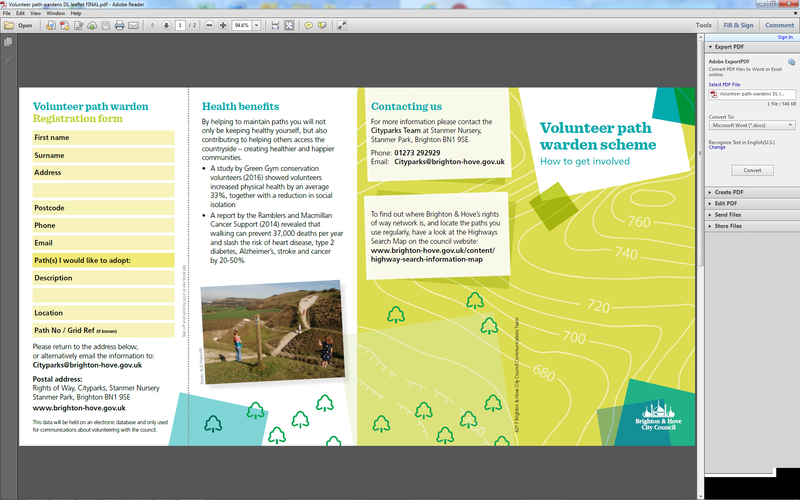 Brighton & Hove Rights of Way officer Chantelle Hoppé has introduced and is now promoting a Volunteer Path Warden scheme – also known as ‘Adopt a Path’. 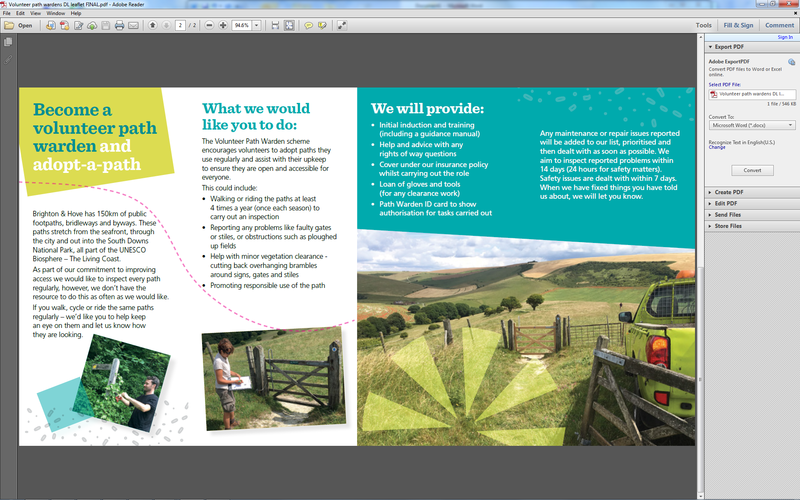 This enables regular users of our Public Rights of Way network to ‘adopt’ a path(s) that they use regularly. This to help ensure paths are easily accessible and maintained in a good state of repair..